Happy Earth Day, April 22, 2012, everybody! 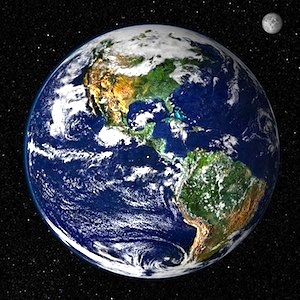 Please pledge to be a better steward of our wonderful planet, Gaia, Mother Earth. What has happened to the Justice System in the USA? I’m tired of seeing big criminal trials become media circus fiascoes. The media coverage in big trials creates a business out of crime. Criminals can profit from victims’ suffering, by selling interviews, photos, books, film rights later. Spectators following the trials become addicted and obsessed by the twisted circumstances. Confidential info is exposed, and can lead to a wrong verdict. Stop the madness! The 1995 O. J. Simpson murder trial was the first big televised court case, a real disgusting display of a media circus. Because of so much publicity before and during the trial, it’s likely that a guilty man was not convicted, although he was held liable at the 1997 civil trial. It is estimated that 100 million people worldwide watched or listened to the verdict and $40 billion of work productivity was lost from employees following the case. Some evidence against Simpson was not presented at the trial because the witnesses sold their stories to the media. Other prominent media circus cases are the trials of Gary Gilmore (1977), Martha Stewart (2004), and Casey Anthony (2010). Dr. Ronald B. Standler, an Attorney in Massachusetts, has a very compelling essay against Pretrial Publicity. Who’s to blame? The Media mostly, publishers of Television, Newspapers, Magazines, and Books. These big trials bring them big profits, and they spend more time and effort on them than more important news. The history of ‘Yellow Journalism‘ in the USA goes back to the late 1800’s. I remember when cameras and photos were forbidden in court, only artists were permitted to draw sketches. How did we go from that to live television!? Let’s bring back some dignity to the Justice System by keeping TV out of the Courtroom. Stop the madness!